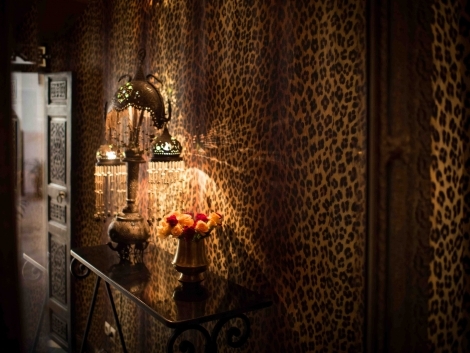 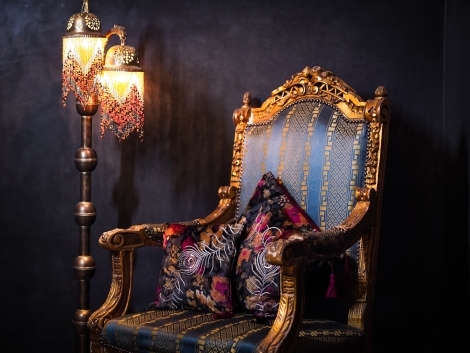 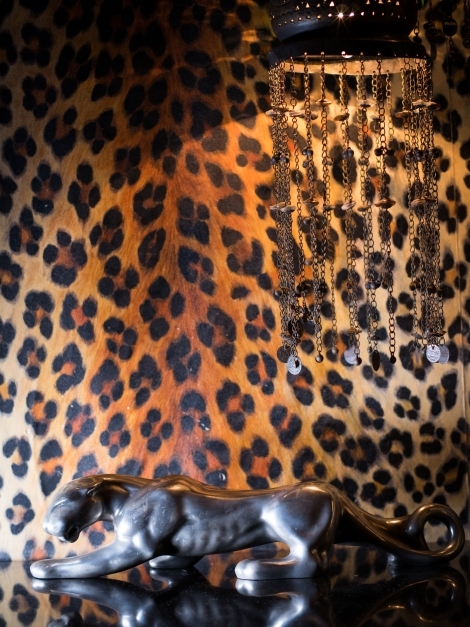 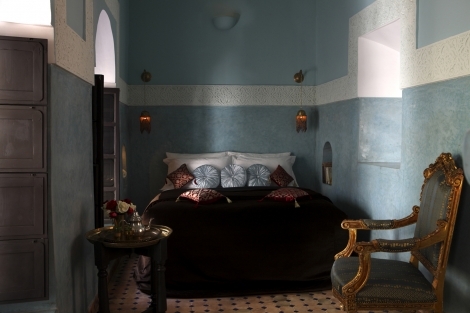 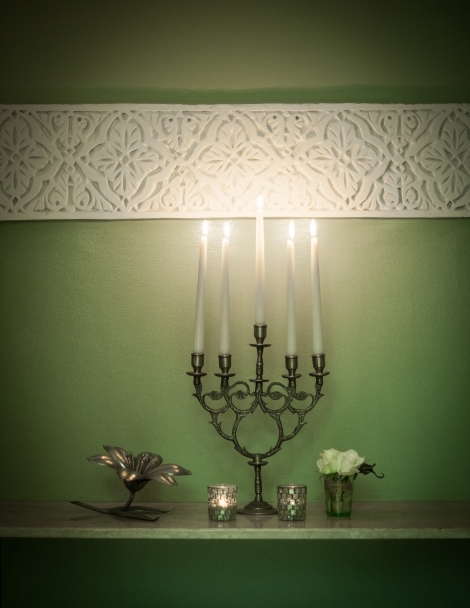 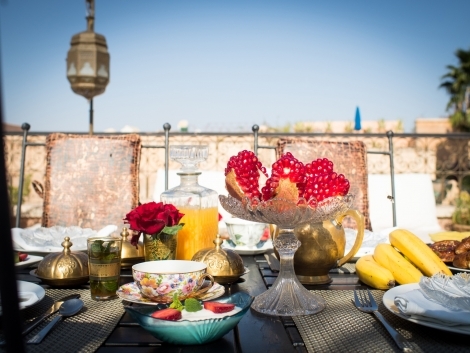 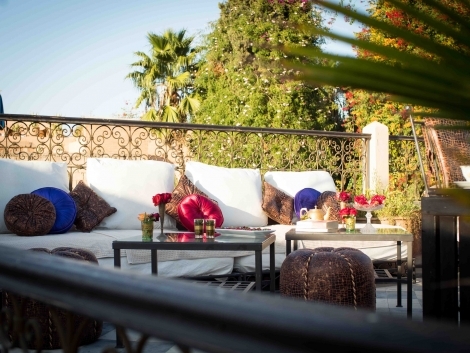 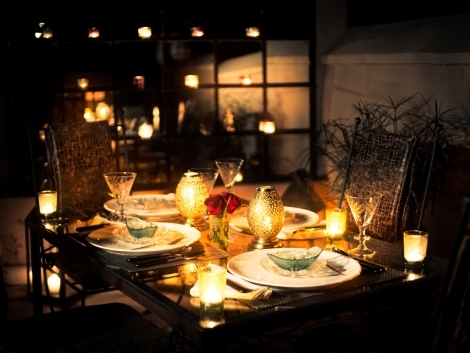 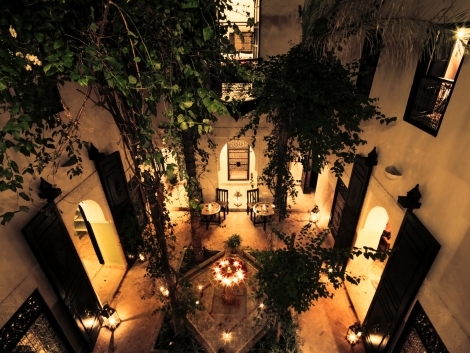 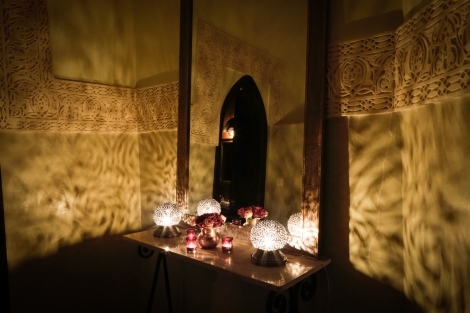 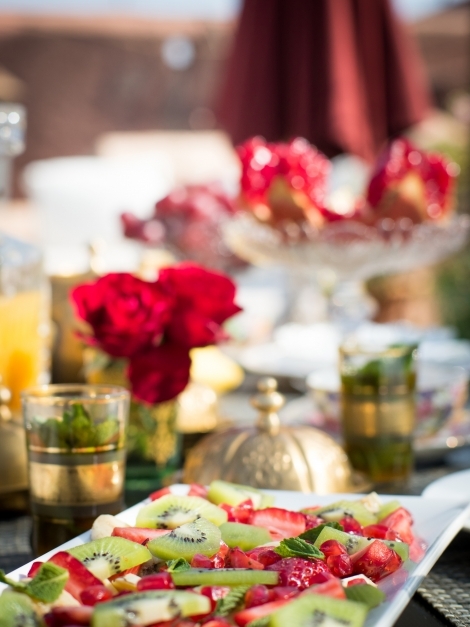 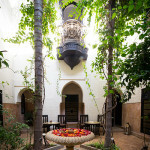 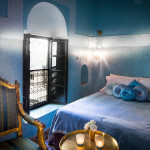 Dar Jaguar Riad in central Marrakech is a magical fusion of European Romanticism and Oriental Moroccan Architecture. 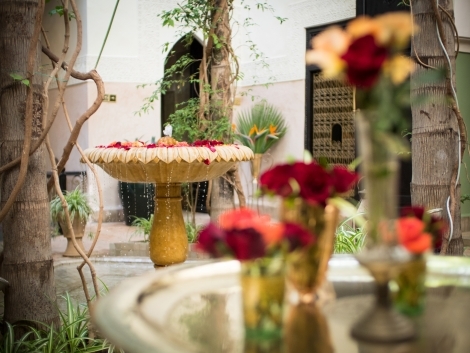 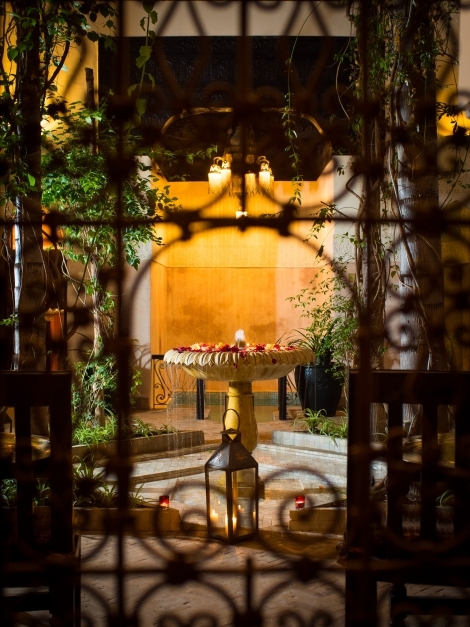 There is a fountain courtyard draped by bougainvillea, dramatic lighting by huge Syrian chandeliers and a rooftop terrace with a fabulous view over the red city and Medina. 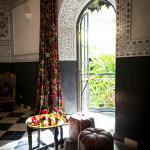 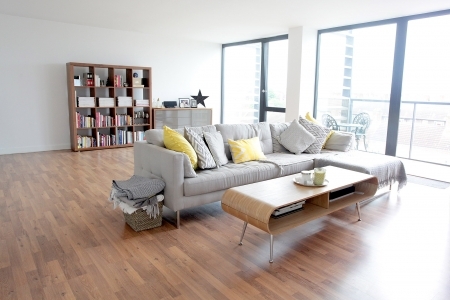 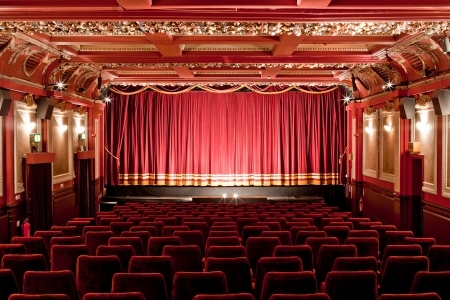 The perfect size and location for a film crew or for a luxury fashion or lifestyle shoot.